This post contains affiliate links. If you purchase an item through this link, I will receive a commission from the retailer. As you may know, I am a teacher. April has been crazy busy at work between getting ready for Statewide testing, preparing progress reports, and writing IEPs, I haven’t had a lot of time to make Easter decorations. 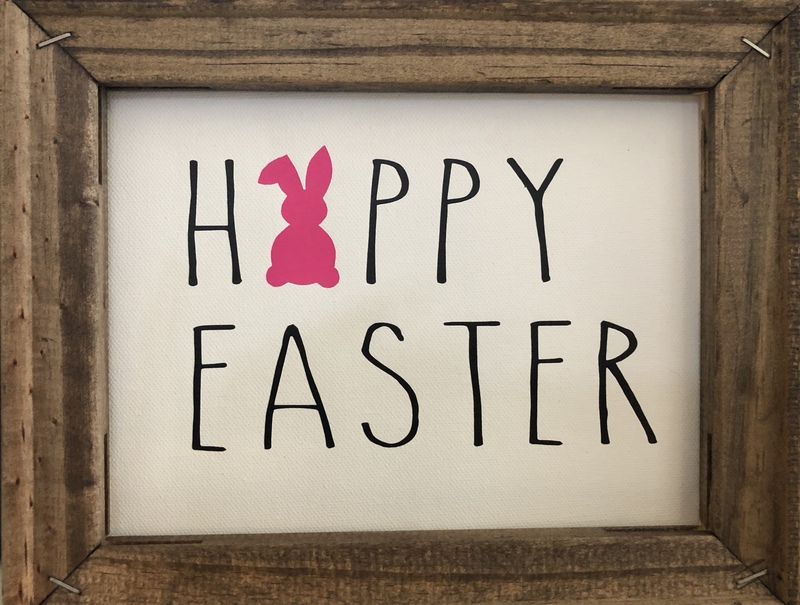 I definitely needed some DIY easy Easter decorations I could pull together quickly. A minimalist approach to the mantel. My inspiration for the bunny garland came from my new pom pom maker. I ordered it on a whim and I’ve been anxious to try it out. The box had a few pictures showing how to use it. But I wasn’t really sure, so I found this great video to help me out. It’s super easy and rather fun! I love a bargain and grabbed this spring pad of scrapbook paper at Michaels for $5.00. It has the most perfect pink and green flowered prints. 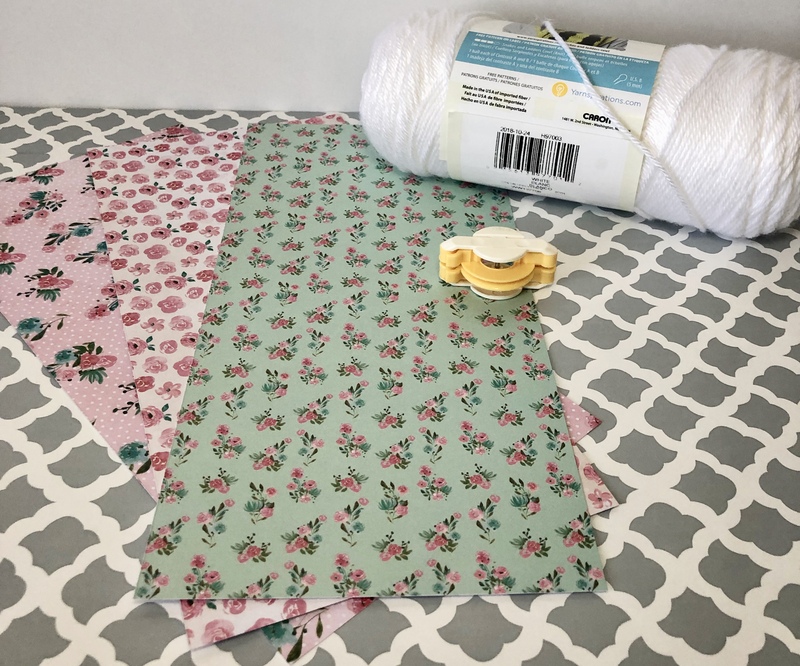 Cute spring paper and basic white yarn. A quick google search for bunny silhouette and I found just what I was looking for. I uploaded into Cricut Design Space and cut my bunnies. I made my bunnies 6″ tall. Select the smallest pom pom maker and for your bunny tails. Use a dab of glue to attach the tails to the bunnies. Let them dry a couple of hours. My bunnies with their little cottontails. 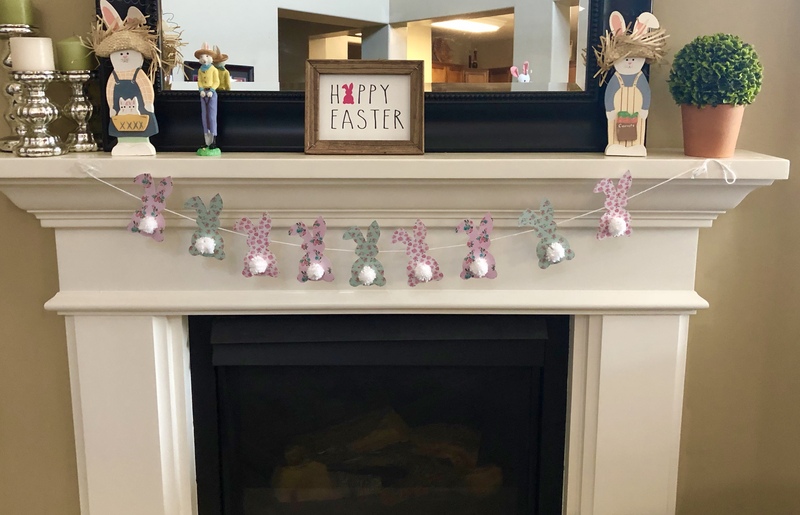 Just attach the bunnies to yarn using tape then tape it to the mantel. Big impact for little time. This was inspired by a Pin I saw. I love the Rae Dunn-inspired font. It’s called ‘The Skinny’, and you can download it for free at dafont.com. If you haven’t made a reverse canvas check out my tutorial here. This time I stained the frame, which was a first for me. I used this stain. Apply the stain with a foam brush, leave on for 5 minutes, and wipe the extra stain off with a paper towel. Let the frame sit for an hour or so before attaching the canvas. I thought about making an Easter wreath, but I decided to go with something that I can leave up through Spring. I’ve been. 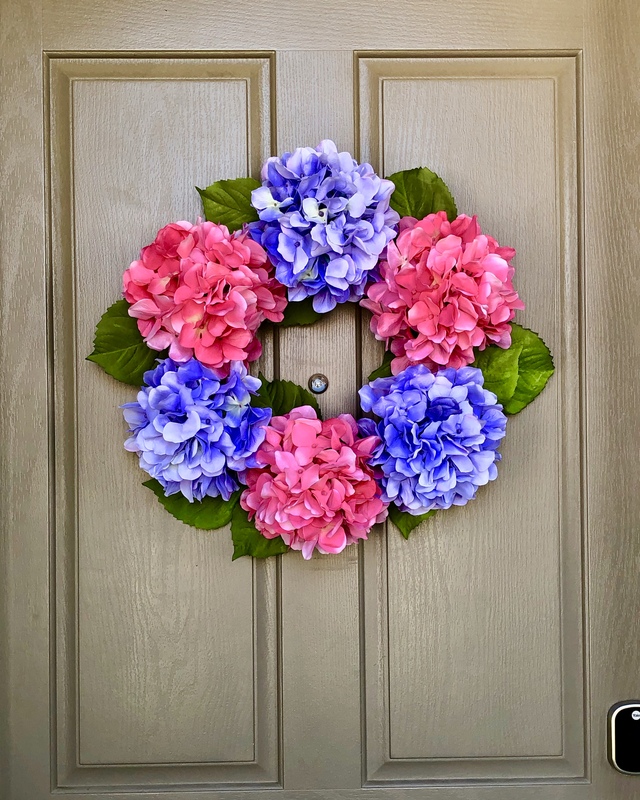 wanting to make a hydrangea wreath like this one. But those beautiful hydrangeas are $7.00 each at Michaels. So when I saw them at 60% off I couldn’t resist. Michaels gives teachers an exra 15% off, so I scored my hydrangeas for $1.96 each! 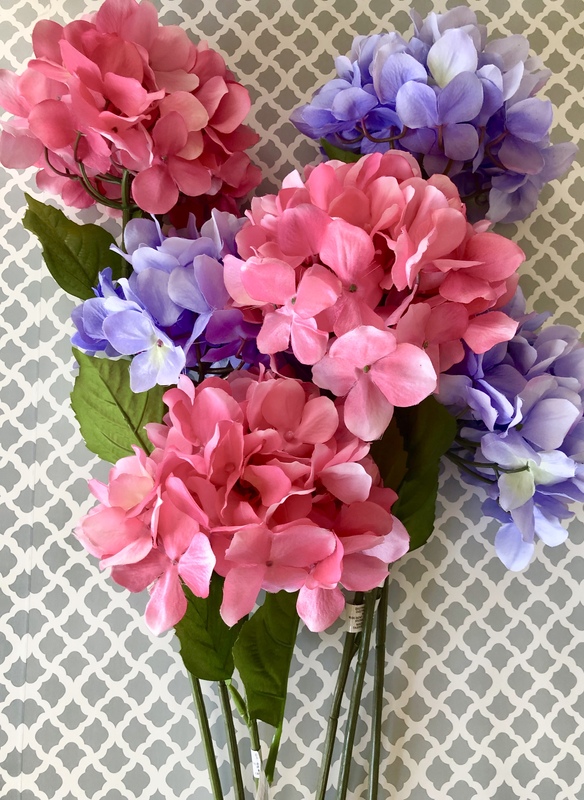 I had a 12″ wreath frame for the Dollar Tree, so I used fewer hydrangeas. My smaller version of the hydrangea wreath. Mine is a little smaller than the inspiration, but I’m happy with it. Start by using wire cutters to cut the flowers from the stems. The stems are a little thick, so it will take a little effort. Detach the leaves too, as you will add some to the wreath too. I started to attach the flowers with thin wire from the floral department, but I found it hard to work with. 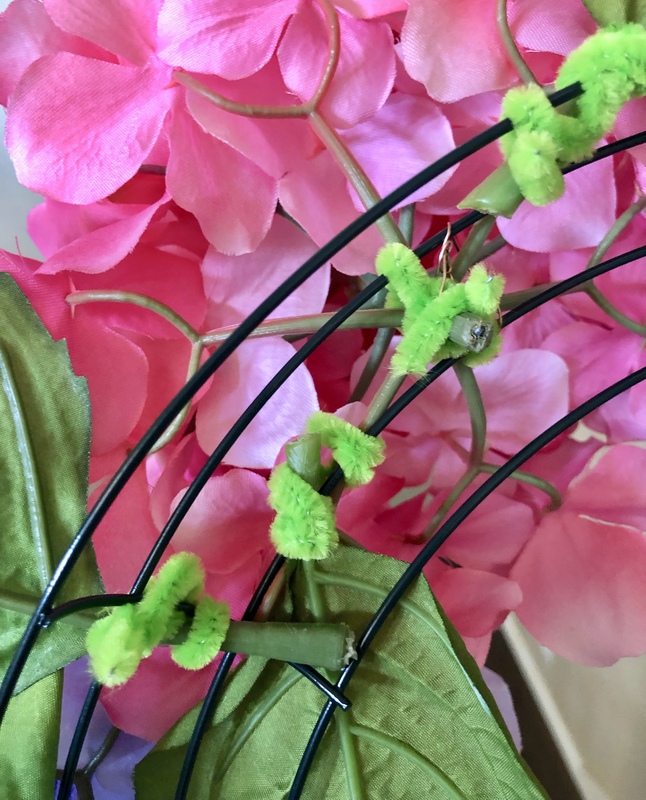 So I ended up just attaching the flowers with pipe cleaners. Pipe cleaners are great for just about everythig. Pipe cleaners are a must-have for your craft tool box. The hydrangeas are so full, the pipe cleaners don’t show at all! I plan to keep this wreath up until summer! I didn’t get to make even half of what I had hoped to get done, but I did manage to make a few easy projects that make a big impact.